Abraham was born 1 June 1830 to Solomon and Sarah Lentze. 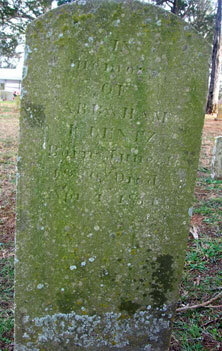 He married Mary Ann York on 30 January 1855 in Limestone Co., AL. She was a cousin of Marion L York. He died 1 April 1871. Picture submitted by Luther Juckett.